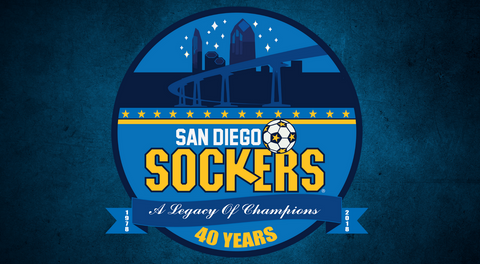 Hiram “Pollo” Ruiz scored a hat trick and Christian Gutierrez added a pair of goals, as the San Diego Sockers rolled through the Turlock Express in workmanlike fashion, 9-3 on Friday night at Turlock Indoor Soccer. 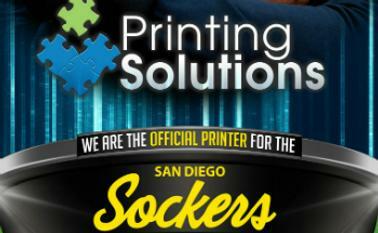 The win was the Sockers’ 16th in a row, improving to 9-0 on the road and 5-0 against the Express. The Sockers (18-1) won without star veterans Kraig Chiles, Landon Donovan, Kraig Chiles, and Boris Pardo, but used consistent high pressure and possession to render a doubtless result. Brandon Escoto regained a tie with Chiles for the team lead with his 23rd goal of the season and added a pair of assists for a three-point night. Leonardo de Oliveira netted two goals for the third straight game and added a helper of his own. In front of a packed house, the host Express (3-18) came out with a physical determination, fouling regularly to try and slow down the San Diego attack. Four first-quarter blocked shots helped the host’s cause, but the Sockers found the net on Ruiz’s pass off the goal wall to himself, then shot off the leg of defender Adrian Gutierrez into the net at 4:49 for a 1-0 lead. San Diego ran a clinic on possession in the second quarter, forcing the Express to run and defend for almost the entire period. Brandon Escoto’s steal in the offensive third led to a signature right-to-left deke, flooring his defender before finishing with a wicked strike into the upper 90 of the net, good for a 2-0 advantage at 6:21. Just seconds later, Turlock goalkeeper Edgar Martinez came too far out of his penalty area into traffic and saw his team lose possession to San Diego. Juan Gonzalez found the ball and an empty net to shoot into for his third goal in two matches, just 22 seconds after Escoto’s, and a 3-0 Sockers lead. 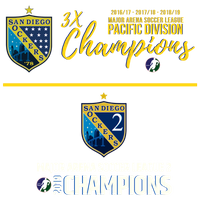 When Ruiz was boarded in the defensive zone for a blue card penalty with 57 seconds left in the first half, San Diego got an opportunity to show their power play could score without stalwarts Kraig Chiles and Landon Donovan in attendance. Transitioning off an Express clearing attempt, Escoto came down the floor 3-on-1 and slid the ball to Christian Gutierrez on the left wing, who calmly slotted his 10th goal of the season at 14:23. The 4-0 lead was carried into halftime. Only one goal was scored in the third quarter, with Escoto linking up once again with Christian Gutierrez, this time for a pin-balling tap-in at 7:56 of the frame. Making his first start in net of the season, veteran keeper Jesus “Chuy” Molina made eight saves through three scoreless periods, but his shutout dreams were dashed by the Express’ Adrian Gutierrez, who smashed a rising shot over Molina from right wing thirty seconds into the final frame. 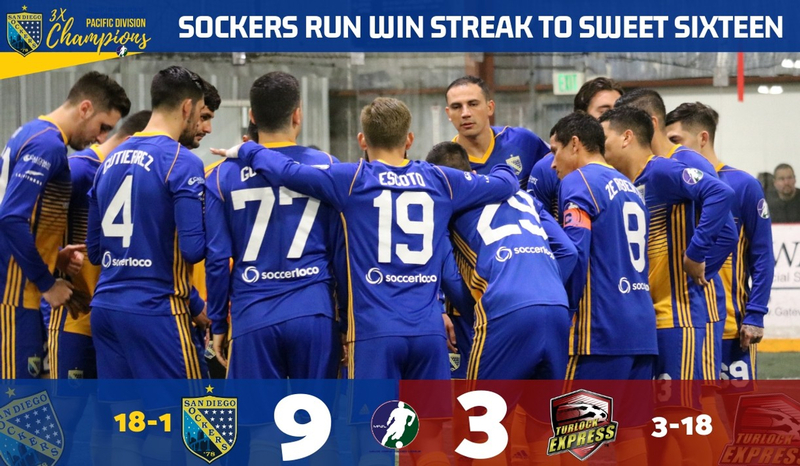 The Sockers wore down the Express as Turlock continued to try and press the attack in the fourth quarter. Pollo scored twice, once against a sixth attacker, and Leo added a power-play goal for his second of the night and 12th of the season. Arturo Pulido and Jorge Carmona netted in the losing cause. San Diego’s road trip continues with a Sunday afternoon match at Allen Event Center in Texas against the Dallas Sidekicks, a 1:00 p.m. kickoff San Diego time. Donovan will make his road debut for the Sockers in the match.